Morphine Addiction Treatment: Where to Get Help for Drug Abuse? Morphine is a powerful painkiller used as a last line of treatment when other painkillers fail. It is used to alleviate pain in the circumstances involving acute and chronic pain. Such circumstances include childbirth, post-operative pain, chronic debilitating pain like in cancer and other terminal diseases, among others. When taken, the drug acts upon the CNS to reduce the sensation of pain. While so effective, the drug is only considered a last line of treatment because of its addictive properties. Once a person gets hooked on the drug, they will require morphine addiction treatment. Fortunately, some facilities and programs offer morphine addiction help that can help turn a person’s life around. How to Get Morphine Abuse Help? What are the Morphine Rehab Programs? Morphine addiction is one of the hardest addictions to break due to its powerful effect on the brain. Analogous to heroin addiction, it can start with a dose as low as 1 mg per day. When taken continuously, the body soon develops a tolerance for the dose of Morphine, and the person may be tempted to bump it up. If the person does, a substance abuse habit will rapidly grow, leading to addiction. Finding treatment for morphine addiction begins with recognizing and acknowledging the problem. If a person sees signs and symptoms pointing to morphine abuse in their life, this can provide the first step towards finding treatment for addiction to morphine. Recognition, in many cases, comes from a loved one as most addicts may not have the will and ability to take this step. However, taking this step is still possible for a person hooked on the drug, especially if they develop a desire to turn their life around and start living a drug-free life. What is Used to Help Morphine Addiction? Treatment involves a combination of behavioral, psychological and medical approaches. Behaviorally, a person develops strong impulsive drug-seeking behavior that requires behavioral counseling. Psychologically, they form a powerful dependence that requires psychological reprogramming. Physically, painful and uncomfortable withdrawal symptoms need medication to help the person kick the habit successfully. When a person recognizes they or a loved one may have a morphine addiction, seeking immediate help is the best way to prevent anything worse from happening. To find help, a right place to start is to look for morphine addiction treatment online. As most treatment programs and facilities maintain an online presence, it is possible to find help this way. 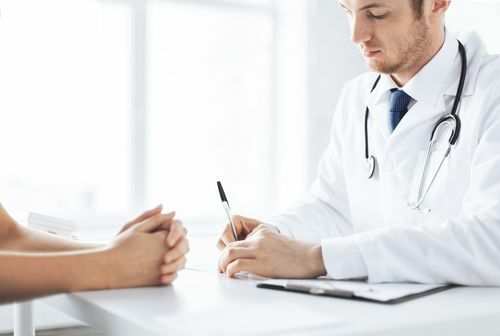 With a morphine addiction, there is usually no time to spare in getting treatment as getting immediate help provides the best possibility for successful recovery. As the drug has powerful addictive properties, the problem tends to escalate quickly, in most cases morphing into multidrug abuse coupled with criminal and other risky behaviors. If a person suspects they or a loved one is addicted to morphine, they must not wait. They must move quickly to find help to prevent the situation from getting worse. Left untreated, the habit can easily lead to opioid overdose and death. Morphine addiction rehab provides a safe, immediate, systematic and sustained intervention to break the habit. By providing this in a clinical setting, the chances of successfully beating the habit go up. However, rehabilitation starts with taking a bold first step to initiate the treatment and set the ball rolling. While a person may think they are still in control, the following are reasons why getting into rehab immediately is a matter of life and death. Morphine addictions are powerful, debilitating and destructive in nature. While this is true of most other habits, with morphine, the risk of a Morphine overdose and accidental death is high. Getting immediate help can help prevent such an escalation from happening. When a person enters rehab, access to drugs is immediately cut off. This provides the reassurance that the condition will not only not get worse, but that accidental overdose cannot happen. This makes immediate admission to rehab a possibly life-saving intervention. While in rehab, lack of access to the drug will bring on painful and challenging withdrawal symptoms. Attempting to get off the drug alone can be dangerous and so doing so while under medical supervision is the safest way to do it. While in rehab, the person may be given some medication to alleviate the withdrawal symptoms. The person will also be monitored for any other life-threatening side effects of quitting the drug. Successfully beating the habit requires a combination of different strategies. These include behavioral, psychological and physical measures. While in rehab, these interventions will be organized and run by medical professionals with years of experience treating substance abuse. As a resident of such a facility, a person will have a higher chance of recovery than one trying to kick the habit by themselves. As most morphine addiction treatment programs last for a minimum of 90 days, rehabs provide a sustained intervention, which can permanently reform a person’s life. The rehab process seldom ends at the 90-day mark. Lots of work must still go into the recovery process, which can take years. 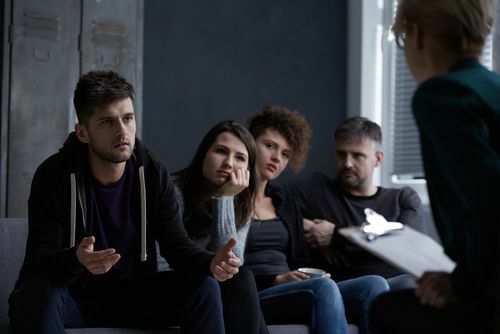 By going into a rehab program, a person has access to a nationwide support network of medical professionals, ex-addicts, and other support network members. By getting plugged into this network immediately after completing rehab, a person can ensure gains achieved while in rehab are not lost. They can also find positive ways to adjust to life after drug abuse through post-rehab programs underpinned by these networks. Illicit drug use is a dangerous and risky habit that can permanently damage a person’s life. This damage will impact physical, social, financial and mental areas of the person’s life. When this happens, the person may find they are out of a job, alienated from friends and family, evicted from their residence, and living on the streets. As the condition gets worse, the person may end up engaging in criminal activities get drugs. This can lead to arrests and conviction. This downward spiral can be stopped by saying no to drugs at the earliest chance possible. Saying no to drugs today by getting treatment is saying yes to a productive, healthy and fulfilling life starting tomorrow. Morphine abuse and addiction can happen to anyone. Many people addicted to the drug started off as patients undergoing pain treatment with morphine. However, by taking a wrong turn at some point, this legitimate use turned into illicit use and escalated into a substance abuse habit. If this happens, it does not need to be a life sentence. Choosing to take that step today can mean the difference between a wasted life that may be suddenly cut short by an overdose and a long, fulfilling life full of hope and possibilities. If you recognize the telltale signs of morphine addiction in you or a loved one, do not waste any time. Get help immediately by calling (888)-459-5511 and speaking with a knowledgeable representative.